When I worked as a Beauty Editor for a couple of years, one of the main countries I looked after was the USA. I was lucky enough to be based in Manchester, UK, working with USA beauty retailers and working with their biggest brands. One of the brands that stuck with me was Filorga, and the team even came down to meet me a few years back and talk through a couple of their products. So when I heard they were launching in Marks and Spencer in Manchester, I was instantly intrigued to check them out and re-visit this much-loved skincare brand. FILORGA was founded in 1978 by Michel Tordjman, a French doctor of aesthetic medicine, who had a fascination for cellular biology. Michel Tordjman pioneered NCTF® , a New Cellular Treatment Factor, which is literally a unique injectable solution that prevents, slows and corrects the effects of skin ageing. His innovations were originally intended to provide dermatologists and doctors of aesthetic medicine with an extensive range of treatment solutions: peeling treatments, hyaluronic acid injections and mesotherapy. From this brilliant solution, Laboratoires FILORGA launched MEDI-COSMETIQUE® in 2007, a range of over-the-counter cosmetic products for general consumers, inspired directly by non-surgical anti-ageing procedures. 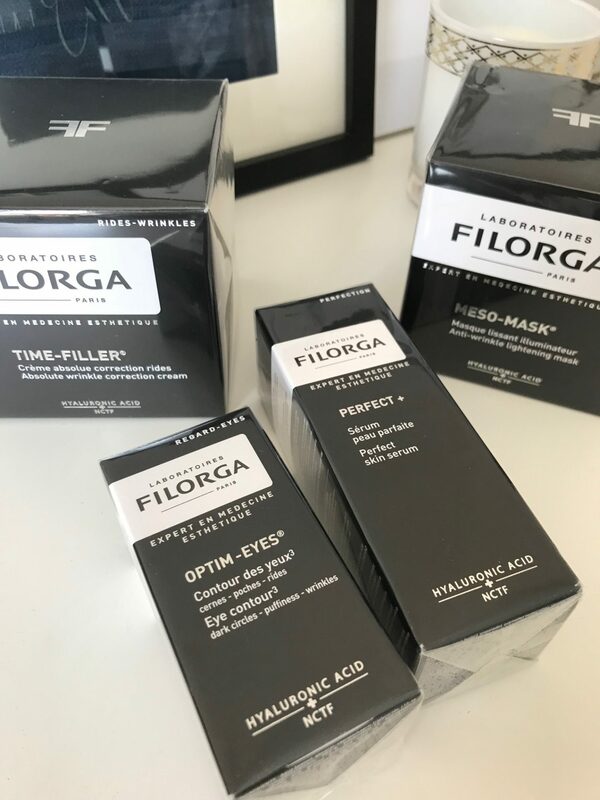 So in a nutshell, for over 35 years, Filorga’s high-performance medical anti-ageing solutions (hyaluronic acid injections, anti-ageing mesotherapy, glycolic peelings) have been used by leading aesthetic medical practitioners and surgeons in over 60 countries. 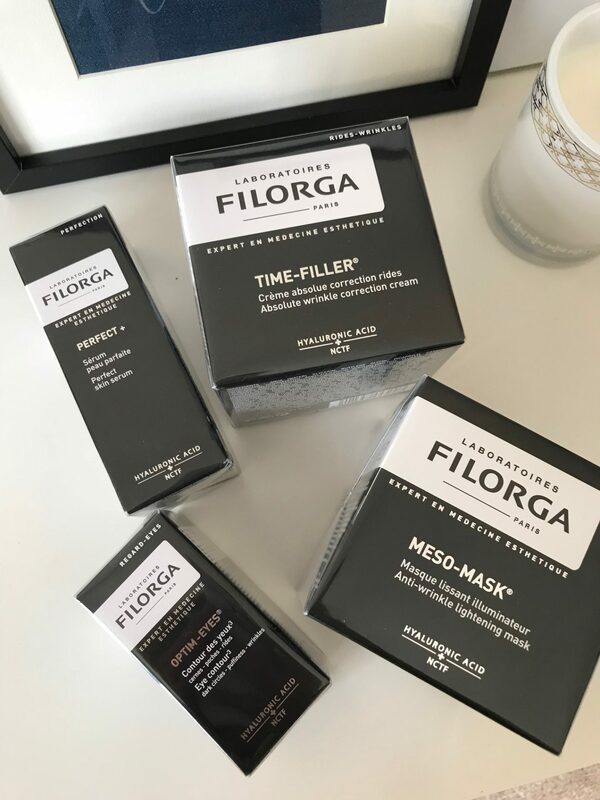 And now Filorga markets MEDI-COSMETIQUE®, the first dermo-cosmetic product range in France to be directly inspired by non surgical anti-ageing procedures. The range leverages the innovative preparations and high-tech agents developed in its laboratory. 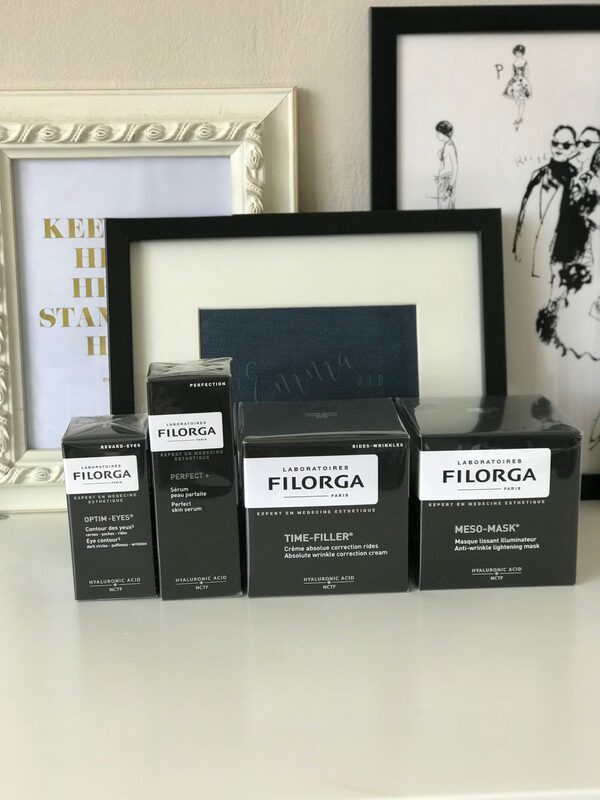 Filorga skincare fans are usually those who are really keen on using a skincare regime which gives results which ‘re-wind time.’ Plumped up, rejuvenated, fresher looking skin is the aim, as well as the obvious reduction of fine lines and wrinkles. There are two key products from Filorga that I’ve been using on and off for a while now. 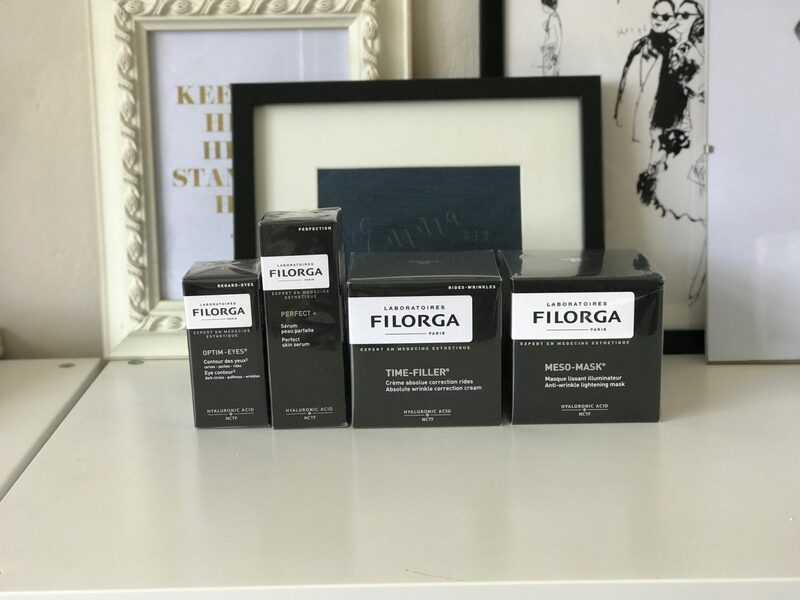 Every time I use them, I’m always so impressed and make a pact with myself to fully utilise a full on Filorga skincare regime because I get addicted to that plumped-up, smoother, freshier complexion I get. 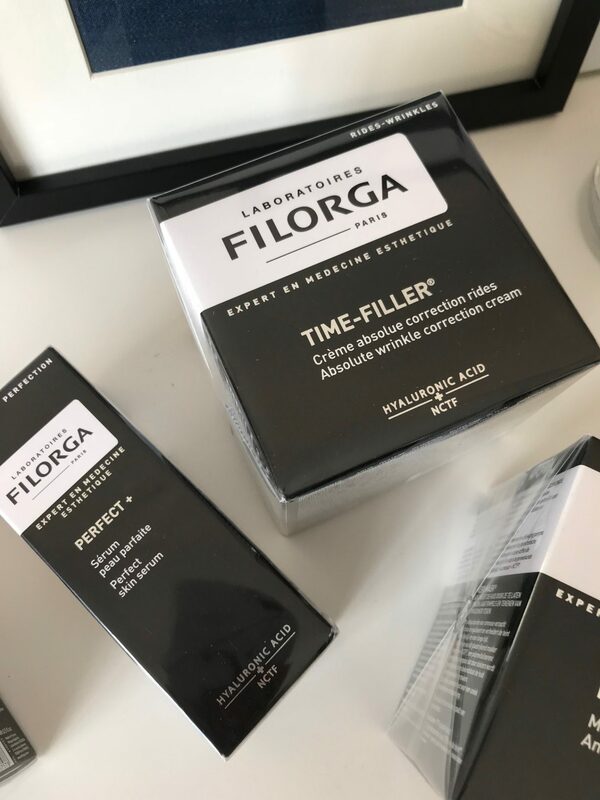 This product is literally all Filorga’s aesthetic expertise in an ultra-smoothing cream to visibly reduce the appearance of all types of wrinkles. It’s a lovely gel-cream texture, which smoothes onto the skin and absorbs almost like a smooth primer, leaving that primed, plumped up finish. It basically aims to do what it says it does: work on all types of wrinkles. It definitely leaves a softened look around fine lines, dryness wrinkles (which I get around my mouth)and those more deep set, obvious wrinkles, like on the forehead. After using this cream in the morning, I find my foundation just glides right on and sits all glowy and plumped. Love love LOVE this cream! It retails at £57 at Marks and Spencer, and it’s one of those real luxury treats for yourself, but I’d say it also would make a fantastic gift for your Mum, too! 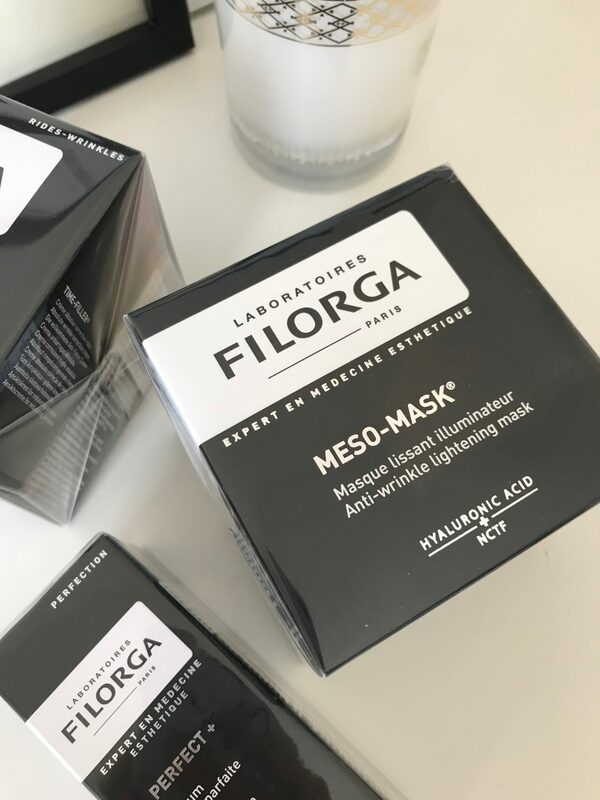 Another one that I would recommend if you wanted a Filorga product recommendation is the Meso-Mask. This Meso-Mask is directly inspired by mesotherapy treatments practiced in the doctor’s office, and it brightens the skin for a luminous and radiant complexion, while treating wrinkles and erasing all signs of tiredness. You simply apply a thick layer of the mask over your whole face, eye contour, neck and neckline, and let it sink in for 15 to 30 minutes. The I just remove with a warm, damp towel, or you could just rinse off with warm water. It almost instantly creates that much loved plumped-up, smooth, radiant complexion, and any tired-ness melts away. Potentially one of the most impressive masks I’ve used, making it worth the £42 price tag.